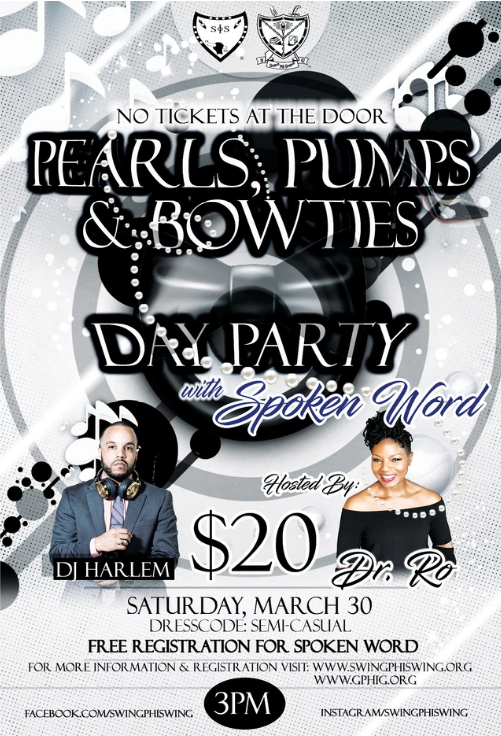 Join us for a Day Party with Spoken Word on Saturday, March 30th at 3:00 pm. This event is sponsored by Groove Phi Groove Social Fellowship Inc. and Swing Phi Swing Social Fellowship Inc. Dr. Ro is our master of ceremony and DJ Harlem is the musical director. Come enjoy great music and live spoken word performances. Dress code is semi-casual and no tickets are sold at the door.